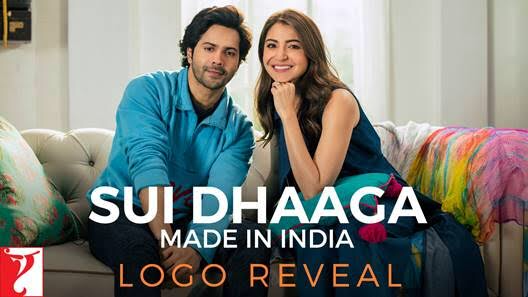 A film about finding love and respect through self-reliance, the Varun Dhawan and Anushka Sharma starrer Sui Dhaaga – Made in India is a heart-warming story that celebrates the spirit of self-reliance. While Varun plays the role of a tailor, Anushka plays an embroiderer in the film. With the story, inspired by Mahatma Gandhi’s philosophy that also takes a leaf out of the hugely acclaimed Make In India campaign, the makers kept that in mind for all aspects of the film including the logo! Watch this incredible video to see how it was created and then made! Both incredible actors, Varun and Anushka have been paired for the first time and are definitely the most-awaited on-screen jodis of 2018. The National Award-winning, dream-team of director Sharat Kataria and producer Maneesh Sharma team up again for Yash Raj Films’ entertainer Sui Dhaaga – Made in India that is set to release on September 28 this year, just before Gandhi Jayanti.